Music lovers, creators, tech nerds; we’re a whole range of things. We know it can be hard to start making music, and that’s why we’re on a mission to make music more accessible. Born out of well-known electronic music brand Novation (a part of Focusrite), the Ampify team brings great experience, foresight and a rather large synth collection to the field. 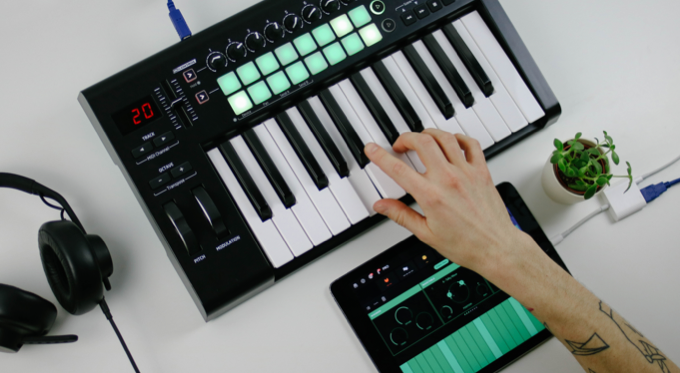 Novation Launchkey integrates with Groovebox. Our love of music and technology drives us to build things. We believe that our crafted products can make it easy and fun to make music, while bringing together like-minded people in the process. Our mantra is simple: "easy to use, deep enough to master." We are part of Novation, which means being surrounded by many musically talented people. We like to showcase this fact with Ampify Sessions, an open music event where collaborators, local artists and employees can perform, network and meet other music nerds. We’re striving to make music more accessible all around the globe. Join us on this journey, and happy music making.